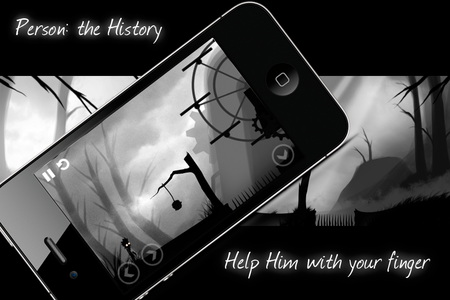 Kicking it off, Billy Garretsen of Game Team One will review “Person – The History” by GameSalad developer, Rupas. When I first saw this game I instantly thought of Playdead’s Limbo – as it shares a similar stark black-and-white palette with heavy silhouettes for the main character and interactive objects. Though, it was refreshing to see the levels broken up in to smaller and more manageable chunks which is good when you are playing on the go. 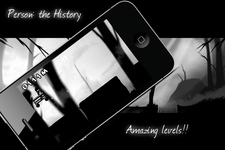 The look and atmosphere is where the comparison to Limbo ends, as Person presents its own unique take on puzzle platforming. 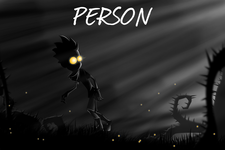 Person is a very ambitious game that runs the gamut of direct character control via walking and ducking mixed with manipulating objects in the environment with touch. Add in a runner style cart minigame every 5 or so levels and you have a pretty big feature set which is not to be understated. 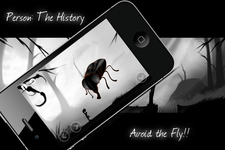 The overall gameplay amounts to you traversing various trap-filled environments and avoiding obstacles. One hit will kill you, and you will likely end up dying quite a bit. Some of the deaths were from my lack of paying attention to the cleverly placed spikes or unexpected boxes falling. Though, I ended up dying fairly often from unfriendly collision detection most frequently in the cart minigame levels. This is my only real criticism of the game, however. I think the levels roll out in an intuitive fashion and invite replay. The promise of more free levels adds value, and will allow Rupas to experiment with new scenarios. The presentation is one of the best parts about Person. The graphics are pleasing to look at and also tie into the game design by obscuring hazards in plain sight. By the end, you will definitely not take anything in the environment for granted. The music is haunting and helps to pull you in as well. I think the team built a strong presentation and were able to differentiate themselves from the source inspiration enough to not be written off as just a Limbo replica. The rough spots of this game should not dissuade anyone from giving it a go and it is easily worth the price. It shows a solid vision and good execution.